One of the most valuable assets a business can have is an email list. This list is how you can reach out to countless customers or potential customers through email marketing. Of course, simply having an email list is nowhere near as important as putting it to good use. Good use as in making it work for you. Using an auto-responder and a drip marketing approach to contacting people are some of the best methods to use for a valuable email list. Drip email is an approach marketers can use to keep in contact with customers and potential customers for a period of time. This type of steady, regular, consistent contact helps remind people you are still around, as well as tell them about what you have to offer and any current updates such as sales your database should know about. You can usually use an auto-responder service to set up your drip marketing and to keep it going. Even for those technically challenged email marketers this type of system can work for you. For most people who use drip marketing through auto-responder systems plan to do this for a half a year system. Plan on one email a month and write the emails out in advance. Once you are using a drip email approach you are hoping that by continually reaching out to others on a slower but continuous basis you will see returns in much of the same manner. It is like a slow drip, but keep in mind slow and steady wins the race. Gathering email contact information is the first step. From there you can begin your first batch of mass emails with the addresses you already have. If you are using the six month system, then another email will go out per month for all six months to the contact database you have, minus those who may opt out at some point. Of course the trade off is you will also be adding new contacts. By having a regular flow of incoming new email addresses your database will grow. It is important to maintain one or more places where visitors to your site or blog can sign up for the email newsletters. Once a person signs up, he or she will get that initial email you wrote for the auto-responder and each month thereafter will be on the same drip auto-responder email list. One quick tip to keep in mind about drip campaigns is to watch the length of your email. Include enough substance to hook readers or give them something to skim through to find the parts they want. On the same note, avoid making an email so long the receiver feels overwhelmed upon opening it. Also make them engaging, interactive, informative or all of the above. Offering “how-to” tips, specials or including a call to action can lead to sales. 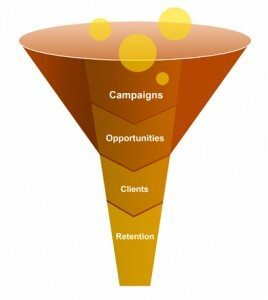 Not to mention you may be able to track the effectiveness of your campaign if there is a link to the call to action. ← Is WordPress A Secure Platform for Your Business?